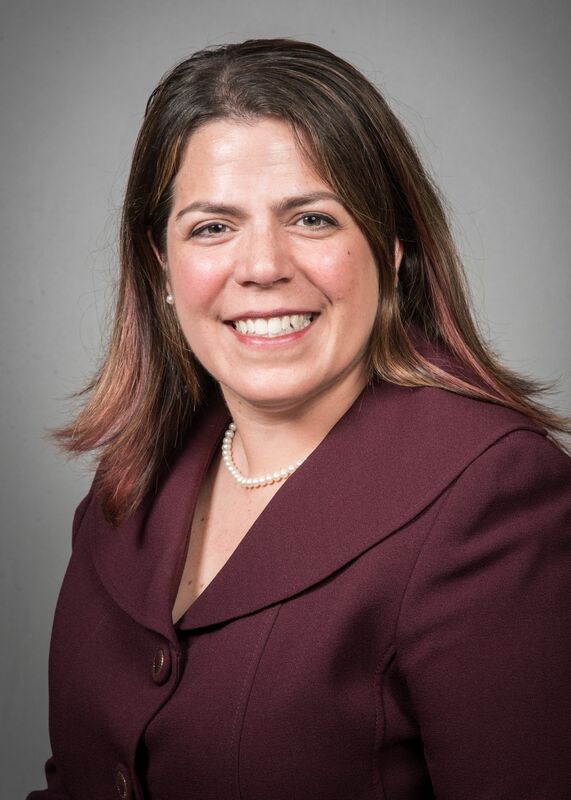 Dr. Deligiannidis completed her undergraduate degrees and an Honors Scholars Research Program in Neuroscience and Behavior at the University of Massachusetts at Amherst. As a recipient of NIH pre-doctoral Intramural Research Training Awards, she trained in molecular neuroendocrinology research at the National Institutes of Health (NIH). Dr. Deligiannidis completed additional research training at the NIH during medical school and residency. She received her medical degree from, and completed her psychiatry residency and chief residency in psychopharmacology research at the University of Massachusetts Medical School. Dr. Deligiannidis joined faculty at Zucker Hillside Hospital, The Feinstein Institutes for Medical Research, and the Zucker School of Medicine in September 2016 and is Board Certified by the American Board of Psychiatry and Neurology. Dr. Deligiannidis is the director of Women’s Behavioral Health at Zucker Hillside Hospital. She provides consultation and short-term treatment for women suffering from depression or anxiety in pregnancy or during the postpartum period. Her expertise is focused on psychopharmacologic and complementary/alternative treatments for depression and anxiety during the peripartum period including lactation. Dr. Deligiannidis actively participates in national scientific committees and gives scientific presentations locally, regionally and nationally. She is an appointed Young Investigator Member of the International Society of Psychoneuroendocrinology (ISPNE), a member of SOBP and a member of the American Society of Clinical Psychopharmacology (ASCP). She serves on the Board of Directors of ASCP, on the Advisory Board for the international journal Acta Psychiatrica Scandinavica and is Chair of the Education Committee for SOBP. She also serves as an ad hoc member of the ACNP Committee on Education & Training and actively serves as a federal grant reviewer for the Center for Scientific Review (CSR) at NIH. Kanes, S, Colquhoun, Gunduz-Bruce H, Raines, S, Arnold, R, Schacterle A, Epperson CN, Deligiannidis KM, Riesenberg R, Hoffman E, Rubinow D, Jonas J, Paul S, Meltzer-Brody S. (2017) “Brexanolone (SAGE-547 injection) in postpartum depression: a randomised controlled trial.” Lancet,390 (10093):480-489. PMID: 28619476. Kroll-Desrosiers A, Nephew BC, Babb JA, Guilarte-Walker Y, Moore Simas TA, Deligiannidis KM. (2017) “Association of peripartum synthetic oxytocin administration and depressive and anxiety disorders within the first postpartum year.” Depression and Anxiety, in press,DOI: 10.1002/da.22599; NIHMS ID839499. Di Florio A, Putnam K, Altemus M, Apter G, Bergink V, Bilszta J, Brock R, Buist A, Deligiannidis KM, Devouche E, Epperson CN, Guille C, Kim, DR, Lichtenstein P, Magnusson P, Martinez P, Munk-Olsen T, Newport J, Payne J, Penninx B, O’Hara M, Robertson-Blackmore E, Roza S, Sharkey K, Stuart S, Tiemeier H, Vikorin A, Schmidt PJ, Sullivan P, Stowe Z, Wisner KL, Jones I, Rubinow DK, Meltzer-Brody S. (2017) “Clinical phenotypes of perinatal depression are associated with time of symptom onset: Findings from an International Consortium.” Lancet Psychiatry, 4(6):477-485; PMCID pending; PMID: 28476427. Duan C, Cosgrove J, Deligiannidis KM. (2017) “Understanding Peripartum Depression through Neuroimaging: A review of structural and functional connectivity and molecular imaging research.” Current Psychiatry Reports, 19:70. Deligiannidis KM, Kroll-Desrosiers A, Mo S, Nguyen HP, Svenson A, Jaitly N, Hall JE, Barton BA, Rothschild AJ, Shaffer SA. (2016) “Differential peripartum plasma neuroactive steroid and GABA profiles in healthy women vs. women at-risk for developing postpartum depression.” Psychoneuroendocrinology 70:98-107, PMCID: PMC4907817. Deligiannidis KM, Kroll-Desrosiers A, Svenson A, Jaitly, N, Barton BA, Hall JE, Rothschild AJ. (2016) Salivary Cortisol Response to the Trier Social Stress Test in Pregnant Women at Risk of Postpartum Depression. Archives of Women’s Mental Health, epub ahead of print, PMCID: PMC5014732. Putnam KT, Robertson-Blackmore E, Sharkey KM, Payne JL, Bergink V, Munk-Olsen T, Deligiannidis KM, Altemus M, Newport DJ, Apter G, Devouche E, Vikorin A, Magnusson PK, Lichtenstein P, Penninx BW, Buist A, Bilszta J, O’Hara MW, Stuart S, Brock, RL, Roza SJ, Tiemeier H, Guille C, Epperson CN, Kim DR, Schmidt PJ, Martinez P, Wisner KL, Stowe ZN, Jones I, Rubinow DR, Sullivan PF, Meltzer-Brody S. (2015) “Heterogeneity of Postpartum Depression: A Latent Class Analysis.” Lancet Psychiatry2(1):59-67. PMCID: PMC4800818. Babb J. Deligiannidis KM, Murgatroyd C, Nephew NC. (2015) “Peripartum depression and anxiety as an integrative cross-domain target for psychiatric preventative measures.” Behavioural Brain Research276:32-44. PMCID: PMC4185260. Deligiannidis KM, Byatt N, Freeman MP. “Pharmacotherapy for Mood Disorders in Pregnancy: A review of pharmacokinetic changes and clinical recommendations for therapeutic drug monitoring.” (2014) Journal of Clinical Psychopharmacology 34(2):244-55. PMCID: PMC4105343. Deligiannidis KM, Sikoglu EM, Shaffer, SA, Frederick B, Svenson A, Kopovan A, Kosma C, Rothschild AJ, Moore CM. (2013) “GABAergic neuroactive steroids and disrupted resting-state functional connectivity in postpartum depressed women: A preliminary study.” Journal of Psychiatric Research, 47(6): 816-828. PMCID: PMC3983790.